See the current price here! See the current price here! See the current price here! 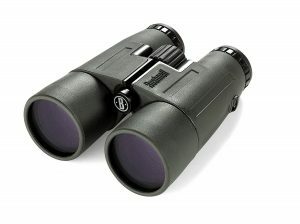 This article aims to help you in choosing the best 8×32 binoculars. We always look for binoculars which are feature rich but we have made a list which contains both feature rich binoculars and also ones which are crafted for comfortable use, economical to buy and also have an impeccable design. These binoculars could be used by travelers and hikers due to its size and 8×32 magnification. Apart from its applications in traveling and hiking, 8×32 binoculars can also be used in areas like bird watching, hunting, underwater observations, sports etc. What exactly is 8×32 and why do you need to know? In the expression 8×32, 8x is the magnification and 32 mm is the lens diameter. The small diameter of lens signifies compact size that could fit anywhere and also weighs less that could be carried around easily. 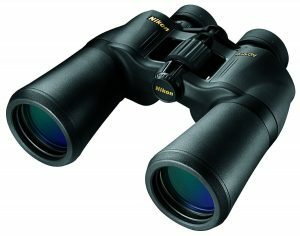 For all the nature lovers, these binoculars are a great selection as it offers a right mixture of magnification and lens diameter. Due to its objective lens diameter of 32mm, the 8×32 binoculars gives the users a brighter and bigger image view even under low lighting conditions. This makes it compatible for observing under low light conditions. 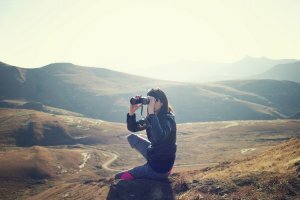 What to look for while buying binoculars? Physical dimensions should be one priority while selecting binoculars, it should be compact and sleek so that it can fit in your pocket and bag pack easily, and this also allows you to access it anytime you need it. It should be portable and should weigh less (around 550 gm), giving the freedom to travelers to carry it around anywhere without taking much space. Always look for binoculars that have good quality optics for clear, crisp images. The coated lens also has an advantage of better light transmission, with less amount of light getting lost. This increases the image performance. This makes it perfect binoculars for people who go on casual hunting. You could also look into multiple coated lens. Let us discuss these factors in detail so that you can understand the different things to keep in mind while sorting out the best 8×32 binoculars for yourself. As part of good quality optics, the objective lens diameter plays a crucial role in deciding the areas where the binoculars are used. It is the diameter of the lens which helps in deciding the amount of light which enters the binoculars. The ideal range of lens diameter which enables the user to observe even under low lighting conditions falls between 25 mm to 40 mm. Since our 8×32 binoculars comprise of 32 mm lens diameter, users get to observe sceneries even under low light, making it the best binoculars for use. As mentioned above, the coating of the lens also plays an important role in determining the quality of binoculars you want to buy. The quality of lens coating determines the amount of light being reflected while allowing the maximum possible amount of light to enter the binoculars. This factor is something which has to be taken care of along with the objective lens diameter while purchasing 8×32 binoculars. Also, even among different 8×32 binoculars, lens coating is a factor which varies from one manufacturer to the other. Because of this, lens coating is an important point to be taken care of while comparing two different 8×32 binoculars, so that you buy the best 8×32 binoculars for yourselves! Another important factor which is to be taken care of while purchasing the best 8×32 binoculars is whether the binoculars are resistant to water, dust, fog and other plausible environmental factors which can damage the binoculars, and hamper its performance. Being protective against the above mentioned environmental parameters helps in eliminating concerns related to moisture and fogging of your 8×32 binocular’s inner optics. This will ensure that you can use your 8×32 binoculars even in adverse environmental conditions, which is not possible for all the 8×32 binoculars available in the market. Image stabilization is a technology which can turn to be very critical while purchasing 8×32 binoculars. Image stabilization helps the user to reduce the issues faced due to any sort of vibrations or shaking of hands and/or body movements. Discussing further this technology, 8×32 binoculars entitled with this technology uses an inbuilt sensor based electronics which helps in stabilizing the view from your 8×32 binoculars. Although any 8×32 binocular with image stabilization technology can be expensive than any ordinary 8×32 binoculars, having it as a feature can certainly prove to be beneficial for its users. Now that we have discussed the factors helpful in deciding which 8×32 binoculars can prove to be best for you, we shall now review some of the best 8×32 binoculars available on the internet. This compact piece of binoculars is an excellent product and comes at an affordable price. What makes it different from other Arena D series is an ingenious design along with great functionality. The design is made keeping in mind all sorts of buyers, even for those who wear spectacles. It fashions an easy to hold, light and pleasant feel to it and is perfect for long periods of usage. 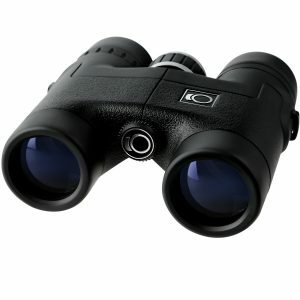 The dimensions of this binocular are 125mm x 128mm x 50mm and weigh around 550 grams. It consists of BAK-4 prisms that aids in the crisp viewing of contrast-rich images giving a sense of the true picture. This German manufactured binocular has 1000m by 122 m field of view and near the focus of about 3 m.
What makes this product more unique is that its body is filled with nitrogen. This helps in preventing the lens from inside fogging which might happen in changing weather conditions. This model is handy and you could comfortably use it under tough conditions as it is waterproof. You also get other items when you buy these binoculars. This includes a cleaning cloth, carrying bag and carrying strap for portability and makes it more outdoor friendly. In conclusion, this product is highly recommended by users and it could be a good buy for your next holiday trip. See the current price here! Known as the best hunting binoculars, this binocular is beautifully designed without comprising on the durability of this product. Though it is very compact in size, weighing approximately 580 grams, it also has a tough, streamlined Dura-Grip rubber-armored housing with O-ring sealed. It is also integrated with soft-touch thumb grips for better handling ease. This simple looking binocular has high-quality optics with BAK-4 prisms and fully multi-coated lens provide razor-sharp images and high stability. 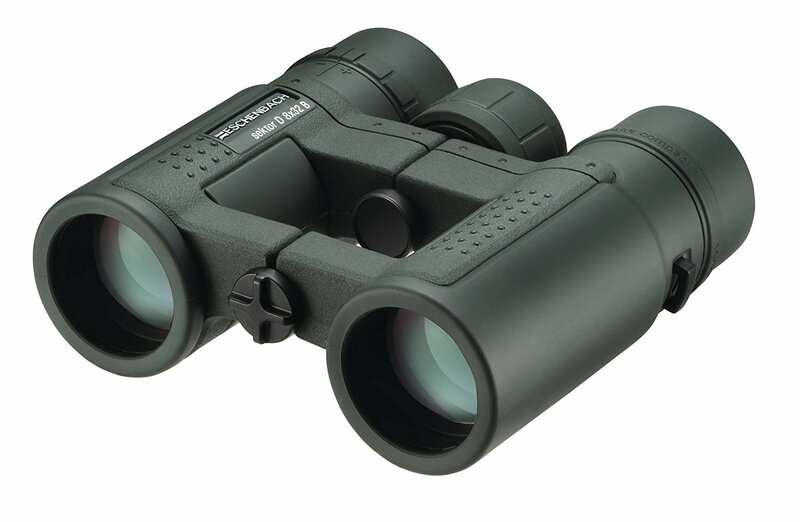 These mid-sized binoculars have world-class optics, providing 3m close focus and 1 m by 131 m field of view. It looks solid and classy but is known for its ruggedness which is why it qualifies as the hunting binoculars. Apart from providing HD quality view, its focusing system is fast and adaptable giving us a smoother user experience. It is filled with nitrogen to provide fog free experience in various conditions and also is waterproof making it a versatile binocular. With not too low a price or too high, this binocular is perfect for the occasional user who does not require it every day for long periods of time. Accessories include carrying case and strap for easy mobility from one place to another. This expensive looking binocular can be bought for just $50. Yes, it is the best budget binoculars offering all features and a great deal. This ergonomically designed 8×32 binocular is crafted and meticulously designed with its rubber eyecups and dioptric correction even for people who wear spectacles. It is super handy with compact dimensions 120mm x 115mm x 45mm, weighing around 0.97 lbs. It is made for adults as well as kids to be used for watching stadium games, concerts, opera, traveling, hunting etc. This multipurpose device has 1.3” diameter objective lens with multicoating providing a very large field of view, which is necessary for concert events or opera as you do not want to miss any detail and parts of the show at once. The characters will be magnified without much distortion in the quality of the image. Image performance of this binocular is spectacular, with BAK-4 prism providing good color exposure and bright contrast, which gives a clear and crisp image. Multicoating provides high transmittance which is useful in capturing a maximum amount of light for more image vitality. It is equipped with no-slip soft rubber armor that helps to absorb moisture in summer days and adds to the more comfortable experience. 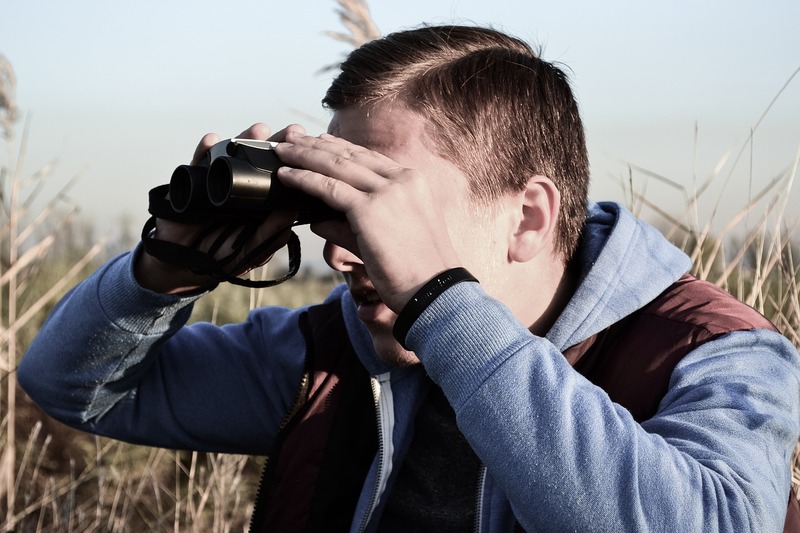 Tight binoculars are a must for smooth, worry-less use especially during outdoor events where you might have to hold them for longer periods of time. It also prevents internal fogging, which is great for any weather and environment. Accessories include transport bag, cleaning cloth, dust guards, and hand strap for more easy transportation. Finally, this product is well suited for anyone who wants to use binoculars occasionally for nature viewing or concert events. 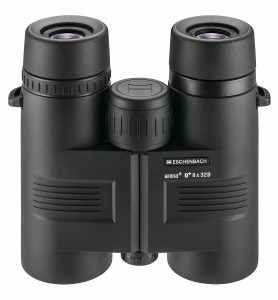 Another model of the German manufacturer, Eschenbach Sektor D 8×32 is an amazing product for bird watching and wildlife viewing. This model is much more expensive than the other one we reviewed above, but it is worth the price. It boasts of BAK-4 phase corrected prisms and fully multi-coated lens for providing sharper details and brighter image. It is also claimed to be the smallest model in all the series of Eschenbach with compact dimensions 109mm x 116mm x 42mm and weighing 389 grams only which makes it light and portable. High-quality optics with phase correction technique and exceptionally robust body makes this worth the buy. It is made up of polycarbonate body with an anti-slip rubber coating which approves of rough and tough usage. This is ideal for adults as well as kids keeping in mind its body dimensions. These capabilities make it a binocular for any age range. It offers a high power 8×32 superzoom technique which is amazing for birdwatching, safari, sports, hiking and mountain excursion. Additionally, it provides a greater field of view which maximizes the ease at which you can view landscapes and moving objects such as animals, birds or participants in drama or sports event. This feature is important if you would want to make use of these binoculars for hunting. It is waterproof and fog proof and the body is filled with nitrogen and the case is watertight, not allowing water to go inside and damage any optics. Apart from exceptional quality and price, it is sold under the trusted brand name – Eschenbach who is a German manufacturer and has been in the business for a long time. They are known for their traditional values like experience, skill, and vision. The only negative part of this binocular is its price, but if you want long-lasting, high-performance binoculars then this is worth the buy. Specially designed for the purpose of bird watching and hiking purposes, this product is very compact and light in weight, allowing you to carry it around easily for hiking or adventuring trips. Also, the product leverages DuraTech technology, due to which the product becomes extremely durable for use under rough situations. The nitrogen gas filled within the binoculars protects the inner optics from damage due to fogging and making the binoculars resistant to water. Its unique feature of opening up its wingspan allows you to adjust the eyepieces according to your convenience. This is something which is not available in all of the 8×32 binoculars available in the market and greatly provides relief to the eyes. With a field of view of 393 feet per 1000 yards, the product allows you to achieve very close focus of the scenery, and multi-coated phase correction BAK-4 prism is bound to provide you to get a wonderful view of the scenery, making your bird watching or hiking experience a memorable one. This is because it greatly improves the clarity, providing a sharp and high definition image of the scenery. The extra-low dispersion (ED) glasses installed as part of the product removes any possible errors in view due to both color fringing as well as chromatic aberration even at high magnification levels. Along with this, the exit pupil diameter of 4 mm allows the users to experience a brighter view of the scenery under low lighting conditions. This gives the product an edge over other alternatives present in the market. Discussing the product’s pros and cons, the 8×32 binoculars by Wingspan Optics uses extra-low dispersion glasses, because of which the users get to experience a high definition view of the scenery. Another merit of purchasing this product is the field of view provided. This factor can certainly provide an edge over other products, especially for those who wish to use it for bird watching. Also, the wingspan feature provides relief to the eyes in terms of easily adjustable as per user’s requirements. These factors differentiate this product from others. Talking about the cons of this product, the only thing which can stop you from purchasing this product is its price. Priced slightly higher than other products with similar features, you may think of changing your opinion about buying this product. Otherwise, there are no negative features of this 8×32 binoculars because of which you feel to buy some other product. So, if you are looking for binoculars for any outdoor activities like hiking, hunting, bird watching, wildlife viewing, camping and you want get a good look of the surrounding nature or even for indoor activities like opera, music events etc, these binoculars are a perfect fit you. We believe you must be pretty aware about the factors responsible for deciding the quality of the 8×32 products, and that you will surely keep them in mind while purchasing for yourselves the best 8×32 binoculars. They all have unique and varied designs with amazing technical specifications. 8×32 itself has a high zoom magnifying glass, but with innovative design techniques and high-quality optics, you get spectacular images which are lifelike. They give more stable and crisper image with no darkness and dullness. With best object processing and mind-blowing magnification, you will not worry about missing any fine details. Also, all of them have a wide field view which is necessary for nature viewing and indoor events so that you do not miss any part. Apart from this they definitely are made keeping users perspective in mind, with comfortable and easy ergonomics design as well as robust body. 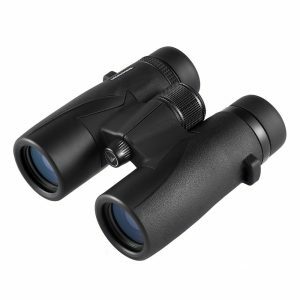 The products reviewed as part of this article gives an idea about the latest technology and features available in the market regarding the 8×32 binoculars. This helps in aiding the people to buy the best 8×32 binoculars in line with the discussed features. Hi! I'm Josh! I have twelve years of knowledge on binoculars with a wide spectrum of usage of different brands and types of binos. Birding and football enthusiast. Read more about me here! Hi! I’m Josh! I have twelve years of knowledge on binoculars and flashlights with a wide spectrum of usage of different brands. Todays Cacher Copyright © 2019.